Betta fish or Siamese fighting fish are one of the most popular freshwater aquarium fish in the hobby. Because they are hardy and very easy to keep, they are popular for aquarium owners of all experience levels. Experience owners often dedicate their time to keeping and breeding betta fish. The unfortunate news is there are many myths about betta fish that can make them live much shorter and less pleasant lives. 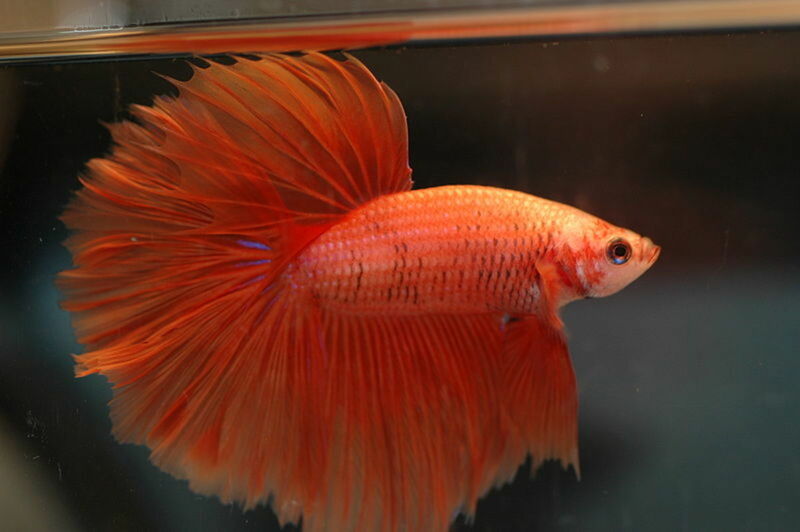 The first of these myths is that betta fish can be kept in small unfiltered and unheated bowls. While a betta may be able to survive in these conditions for long periods of time, keeping them in such conditions should be considered cruel to the fish. Because of their ability to breath air, betta fish can live in the smallest amount of water for extended periods of time. A small bowl should only be considered as a temporary living space in places like pet stores and hatcheries where many betta fish are kept in one location. Betta fish sould be given an aquarium of at least 2 1/2 to 3 gallons in size and should be given both proper heating and filtration. Keeping these fish in small bowls only prevents them from displaying their true vibrant beauty and shortens their life span. The second popular myth about betta fish is that they need to be kept alone in an aquarium. 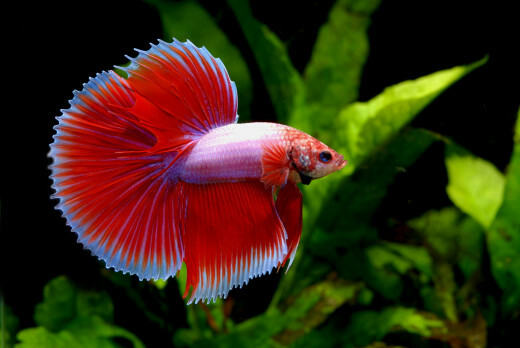 May people think that Betta fish will attack any other fish that are kept in the same tank with them. This idea is false and bettas actually make good choices for a community tank. 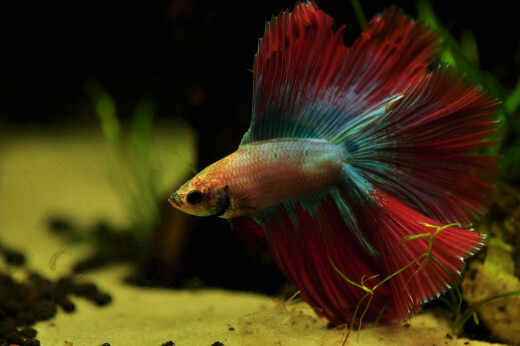 A male betta will attack another male betta and often two male bettas will fight till one dies but a single specimen can be kept in a tank with other peaceful community fish. When choosing tankmates there are some that are not good choices. Angelfish, various, barbs and some tetras may be considered peaceful fish but will nip at the long fins of onamental male bettas. 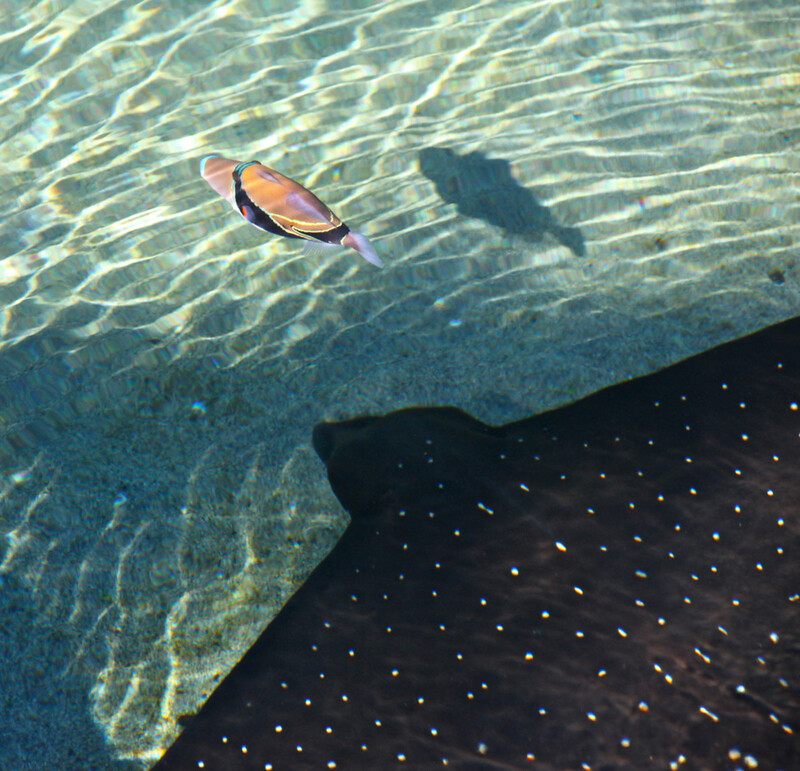 The best tankmates are peaceful bottom dwelling fish like loaches and cory catfish. A shoal of harlequin rasboras is also a good additon to a betta fish aquarium. A beautiful male Crowntail Betta fish. 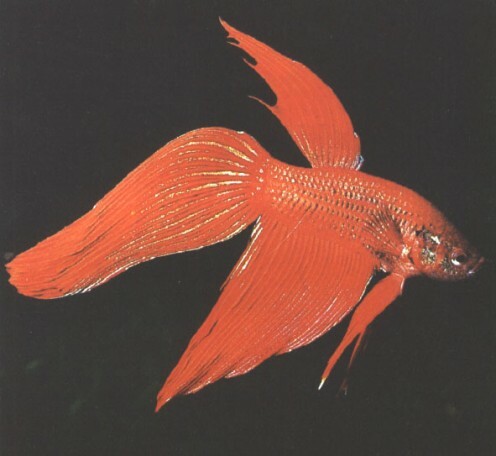 A red color variety of the Betta Splendens. Betta fish are not difficult to breed. Like other Gouramis, betta fish are bubble nest builders which means that the male will build a nest of bubbles at the surface of the water when ready to spawn. The nest is usually built around floating plants to help it stay intact. A bubble nest is a sign that your betta is healthy and is thinking about spawning. After the male builds a bubble nest, a female betta should be introduced to the breeding tank. The two fish will spawn shortly after and the male will then place the eggs in the bubble nest and guard the nest. The female betta should removed from the breeding tank at this point to prevent possible injury that can be caused by the male while it protects the nest. Once the eggs have hatched, the male betta should then be removed from the breeding tank. A profile of the Siamese Fighting Fish (Betta Splendens), including habitat, care, feeding, and breeding. Learn about choosing the best supplies for your Betta fish. Tips for keeping and breeding happy, healthy betta Fish from Bala Shark Bay. Learn about Betta Fish on Wikipedia. I had a betta live for 4 years when I hear they usually make it to 3 at the most. I find them to be excellent pets. I tried to put the one I had in with some corydoras, but he tried to kill them before I even got them out of the bag. Thump! He hit the wall of the container trying to get at them. I thought better of it and didn't let them join the same tank. I hate small bowls/tanks for Betta fish. It is just sick. One of my betta fish lives in a 4 gallon tank. I feed him live brine shrip. It is so cool to watch. Great video. I use to breed Bettas years ago when I was a kid. Most of the fry die within the first couple of weeks though. I manage to raise a few to adulthood. Great point. People just seem to expect that betta fish can survive in dirty water and really tiny bowls without aeration/filtration. And then they get surprised when their fish just die on them. Try separating them using a tank divider or 2 different tanks. Good hub. I hate how ignorant people are on proper fish care- like living beings could thrive in such small bowls! Not only are their bowls so tiny, but they're kept right next to each other. They're probably really stressed out from flaring at each other all day. Thanks for the informative hub. 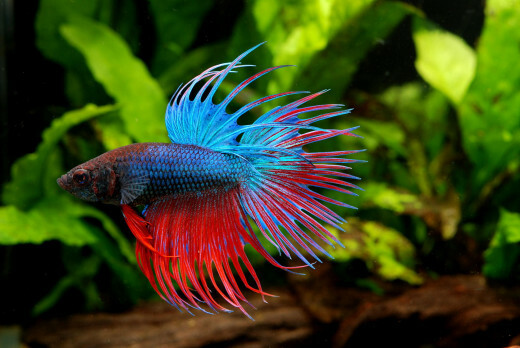 It is often said that betta fish require very little relative to other fish in order to survive and thrive; whereas most fish may require elaborate setups with filters, skimmers, heaters and more, the betta is fine in a small bowl without any equipment. 9 years ago from U.S.A. 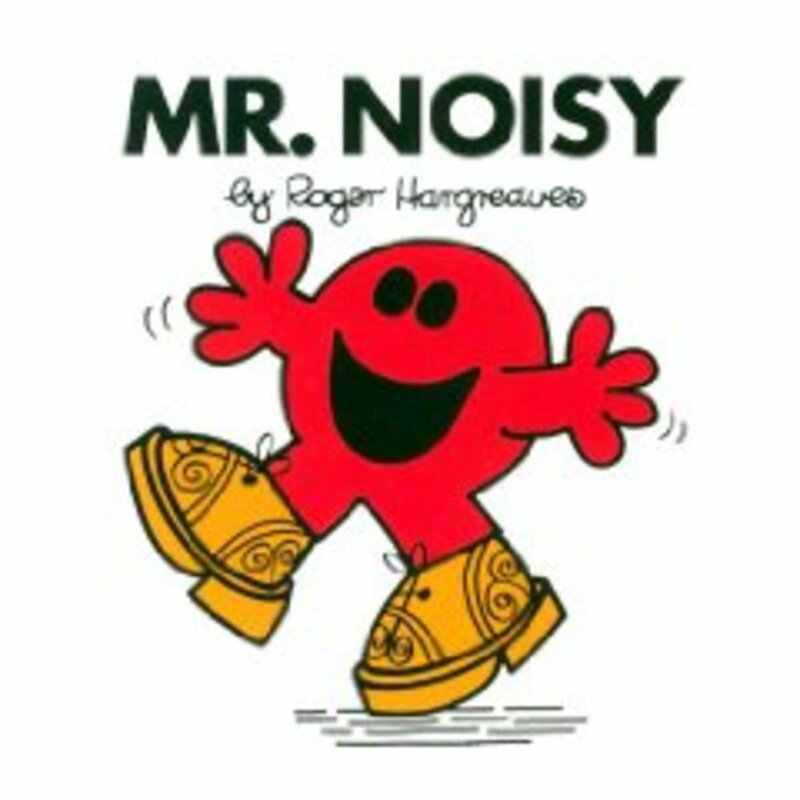 Excellent hub and I agree with all points raised in it! Nice Hub, I agree with you about the small bowls, I cant stand seeing those poor fish in those tiny bowls at the pet shops very tempted to poor them into the plant tanks to give them more room.